Mary River Cruise - Wildlife, Commentary, Buffet Lunch & more! Sit back and take in the breathtaking views while cruising the Mary River. This 5.5 hour cruise departs the Urangan Marina. 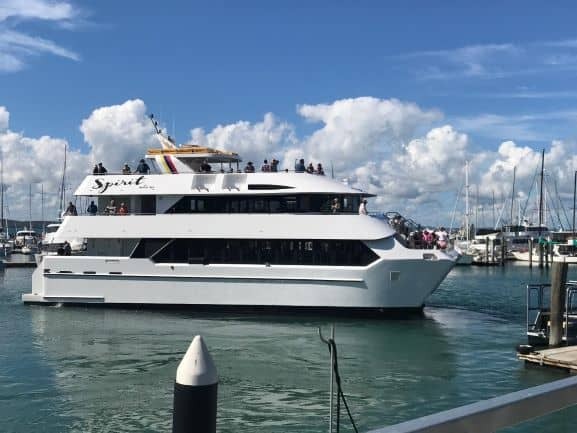 You will cruise on the Spirit of Hervey Bay out of the marina, past the islands and kingfisher bay resort to make your way to River heads into the Mary River. Keep your eye out for some local wildlife. Enjoy some expert commentary and learn about the local area. View the picturesque banks and old queenslander homes while having morning tea. Once up the Mary River near the Brolga Theatre, Maryborough you will enjoy a buffet lunch on board with some entertainment. Enjoy expert commentary and learn about the local Maryborough area aboard the Spirit of Hervey Bay on the Mary River Cruise.